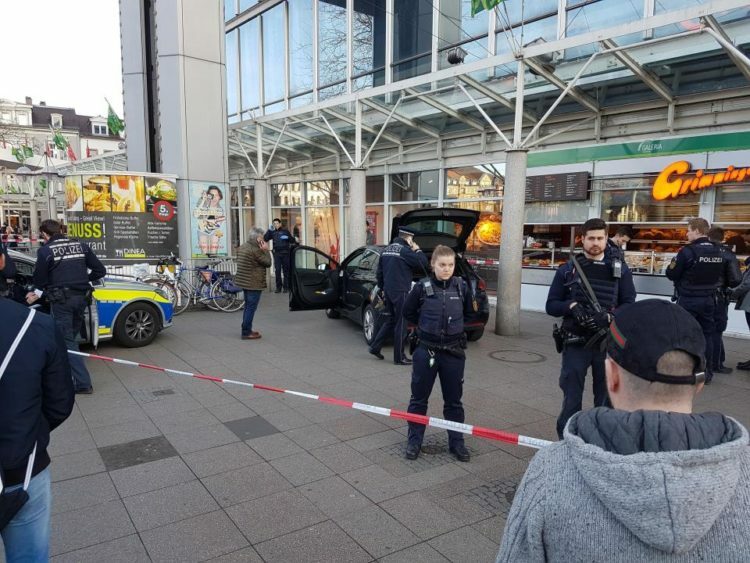 A Jihadist (and yes, I know, they haven’t called him that yet) drove his car in Germany into a bunch of people, injuring three… one seriously. He then jumped out of his car and tried to get away while holding a knife. Police commanded him to stop, he didn’t, so they shot him. Unfortunately, he survived. The laughable part here is that the Germans are once again saying this isn’t terrorism. It’s a guy who is mentally unstable. The two aren’t mutually exclusive you idiots. In fact, they go together like cookies and milk. They also say they can’t figure out his motive. Even I know the motive – Allah. Let me see… he used a car and a knife… sounds like an Intifada to me. They occur in Israel all the time and have happened here in the US. See Ohio. This guy deliberately rammed a bakery and was getting ready to get out and slice and dice. Fortunately, the police were right there. The shooter is in serious condition… not serious enough. AT LEAST three people have been injured after a car smashed into pedestrians in Germany. Its fleeing driver, who was carrying a knife, was then shot by police. 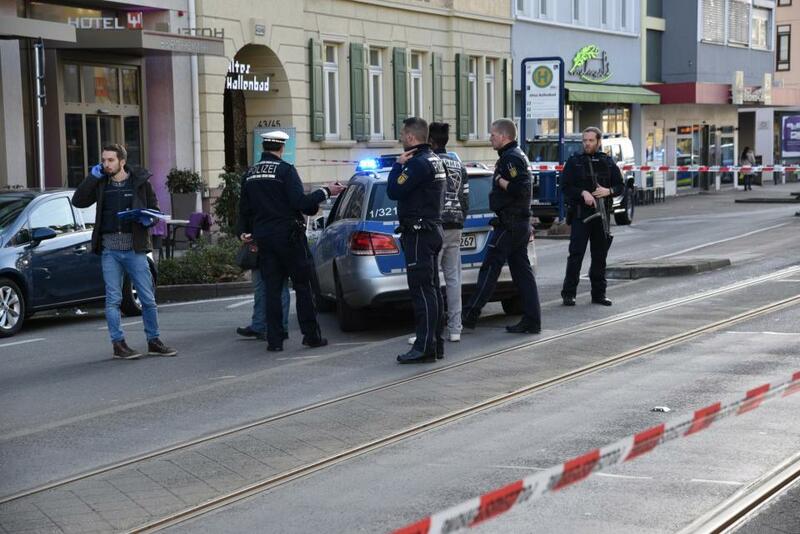 Local media reports he drove a rental car into crowds in the city centre of Heidelberg near Stuttgart. Police say one of the three people injured is in a serious condition. The alleged driver was taken to hospital. His motive remains unclear, but local media speculates that he may have been mentally disturbed. Dramatic video shows the moment cops draw their guns in a tense standoff with the driver. 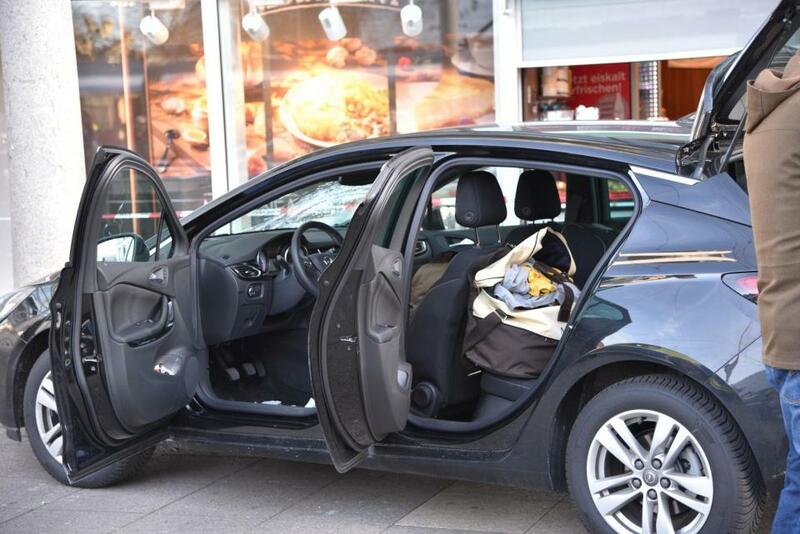 They chased him down after his car, which has Hamburg licence plates, smashed into a bakery in Bismarckplatz at around 4pm local time. The man, whose details have not yet been revealed, is in a serious condition in hospital. President Trump is calling out radical Islamic terrorism like this. Liberal leaders like Angela Merkel are getting people killed because they bring in more and more unvetted Islamic refugees and then when something like this happens, they don’t dare call it terrorism. It’s insane. You can’t defeat an enemy you can’t even name, much less confront. 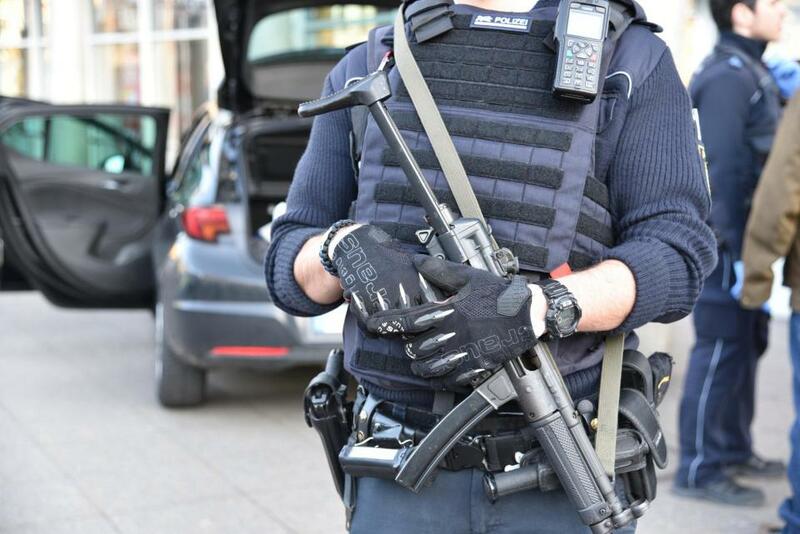 Rhein-Neckar-Zeitung cited police as saying the suspect was a young ‘German’ man. The newspaper said the suspect had stopped at a red traffic light and when it turned green, put his foot down before hitting the group of people at high speed and smashing into a pillar. The German authorities are on high alert after a failed Tunisian asylum-seeker drove a truck into a Christmas market in Berlin on December 19, killing 12 people. But at this rate of denial, they are fighting a losing battle.